When it comes to audio products, there is one particular name that virtually everyone has heard of: Bose. In fact, the company knows that not everyone would love to listen to their music in a room or in a car. Some of us would prefer to bring our music with us, which is why the portable speaker market niche has seen its fair share of offerings in recent years. Bose’s latest effort will certainly provide plenty of value for money in the form of the Bose SoundLink Micro Bluetooth speaker. It might be small in size, but make no mistake about it — the SoundLink Micro Bluetooth speaker is certainly able to churn out some really loud tunes. 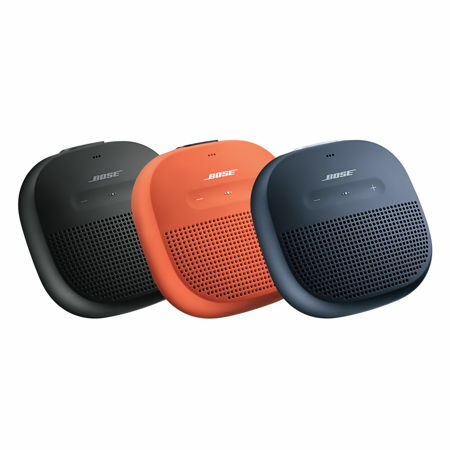 Bose proudly acclaims the SoundLink Micro to be its smallest and most rugged portable speaker to date. It measures a mere 3.75-inches wide and deep, with a height of 1.5-inches. All of it will weigh just 0.64 pounds, meaning the SoundLink Micro is extremely tiny. Turn it on and you might wonder how did Bose fit in such a beast of a portable speaker into something so small, delivering unmatched sound for its size. Apart from simply enjoying music on the SoundLink Micro, you will also be able to receive and make calls, or talk to Siri or Google Assistant regardless of where you are. Being built to be able to meet just about anything or any situation, the SoundLink Micro will feature a new custom transducer, miniature dual-passive radiators, and a rechargeable lithium-ion battery. You get up to half a dozen hours of audio playback with something that fits into the palm of your hand. Not only that, it is tough enough to survive extreme temperatures, while the IPX7 rating makes it waterproof from the inside out. Soapy water, chlorinated water, or salt water, the SoundLink Micro asks you to bring it on! The Bose SoundLink Micro will retail for $109.95 a pop if you are interested.